Did you know that your body is made up of nearly 60% water and water weight? It may seem like a large amount of water content, but it is essential to remaining healthy. If you lost 1% of your water weight you are considered to be in a state of dehydration. If you lose more than one percent your treading on serious medical problems. Losing water weight is a natural process of the body’s daily functions, through perspiration and urination; therefore you should replenish your water content by drinking water. There are a few ways you can assess your dehydration concerns, if you believe you’re not drinking enough water. Check the color of your urine; if it is a dark yellowish tint, then you’re more than likely dehydrated. Dry irritated skin and eyes. Both the skin and eyes requires constant moisture. Your body supplies this moisture through its water content. You may experience frequent headaches, difficulty focusing and also fatigue, if you’re dehydrated. Other problems may persist as a result of dehydration, such as kidney, liver, and muscles ailments. Keeping up a regular water intake regimen will not only keep your body functioning properly but can help you look and feel younger. What is the Proper Amount of Water? It is recommended that adults living in the UK and/or places with comparable climates should drink at least one and a half nearly two liters of water each day. While many people want to maintain healthy hydration it is important that you remain on the recommended levels of water to avoid over hydration, which can be lethal. If you’re one of those people of despises the taste of water, here are some solutions to keep you hydrated and make your water taste better. It’s important that you continue to drink plain water but if you can’t bare the taste try adding a little fruit juice or lemon to it. The FSA reports that consuming skimmed milk is favorable, but to limit tea and coffee intake since they function as a diuretic, causing you to expel more water through urination. If you must have your tea or coffee, then increase your water intake. This is also the case when you consume alcohol, which dehydrates, you’ll need to boost your water consumption. Always have a container of water available. You can begin each day with a glass of light lemon water to get your metabolism and digestive system charged up. In addition to maintaining lots of water at your disposal, eat more fruits and vegetables. Set a regular regimen of drinking water throughout the day. Make sure you follow your coffee, tea or booze with a glass of water. Filtered water is very popular nowadays. Buying water cooler or bottled water not only tastes better than tap water but it also has less lime-scale and other putrid elements that affect the taste and scent of water. 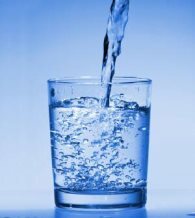 Check out this article on drinking water for weight loss. Use the resistance of water to burn calories with your next cardio workout. Want to get a jump start on your diet> Then check out these quick weight loss tips. Everyone knows that water can help boost your metabolism. But did you know that being fidgety can help too? Learn more about these tips to boost metabolism.